Use the menu button (top left) to see more prophecies and fulfillments. It is updated constantly. 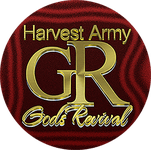 Check back frequently to hear what the Lord is saying, and witness the fulfillments. 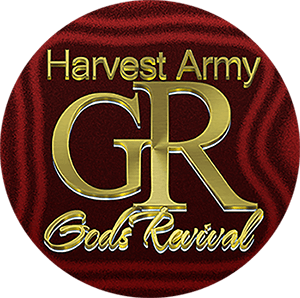 The vision of 'HARVEST ARMY' is first to raise up an 'ARMY OF HARVESTERS FOR WORLD REVIVAL'. Laymen are raised up to PREACH and be a WITNESS of the gospel of Jesus Christ on the highways, hedges & everywhere, according to scripture. Though soul winning focused, God has revealed hundreds of prophecies since 1999. They have been published worldwide & were all fulfilled irrefutably. What do we do? - 'Read the Bible', 'Fast & Pray', 'Worship God', 'Preach the Gospel' & seek to 'Live Holy Lives', absolutely nothing more. By God's grace He reveals end time events in mainly visions, dreams, similitude and words of knowledge (Numbers 12:6; Deuteronomy 29:29; Daniel 2:22; Hosea12:10; Amos 3:7; John.13:19; 1Thessalonians 5:20). STORMS, FLOODS: Pakistan, Australia, Philippines, Thailand, Cambodia. You guys should be getting more views than this. I've been circulating all of your videos. I know lots of people in many industries . I don't understand why they are ignoring you guys after so many words of knowledge from God and warnings from God you guys have proven to be true. Amen, thank you for posting our videos ! All glory be to CHRIST our king, God bless your ministry. Praise God! The Holy Spirit is all over me right now! This was for me. I just told the Lord I will not give up! I've been watching the Great Outpouring conference & I have been tremendously blessed by it. So wish I could've been there in person but that's OK! I still feel a part of this Great Outpouring! God Bless you !